Historically Hazrat Ibrahim Alaihis Salam was ordered to leave his wife Hazrat Hajirah Alaihis Salam and child Hazrat Ishmael Alaihis Salam in a valley without any vegetation or water at the site of his sacred house before the building of the Kabah promising to provide for them. As Hazrat Ishmael Alaihis Salam cried in thirst Hadhrath-e-Hazrat Hajirah Alaihis Salam ran from a small rise to another (safa and marwah) in the hope that a mirage of water was real. 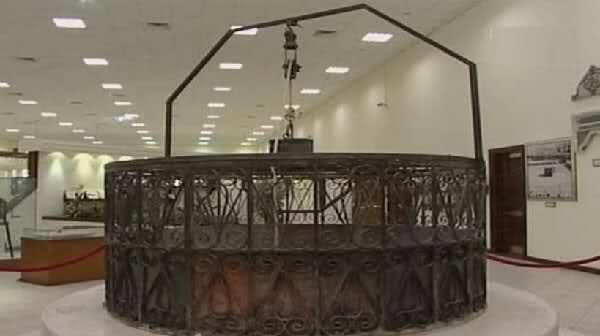 Allah then broke forth a spring at the feet of the crying baby now know as the well of Zamzam (The Holy Water). 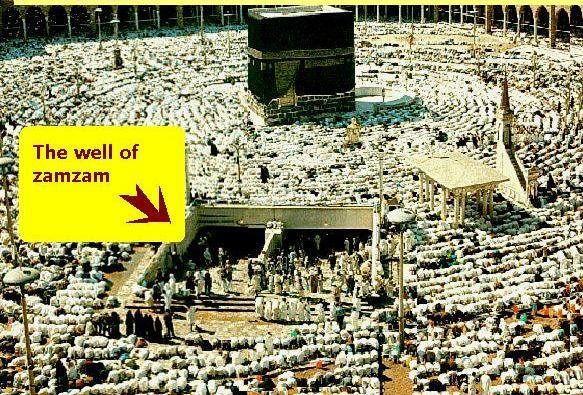 Due to increased crowding around the well entrance near the tawaf area, the entrance was closed and was replaced by stairs leading to the bottom entrance of the Zamzam (The Holy Water) well. All Muslims around the world should drink Zamzam (The Holy Water) water because Prophet Mohammad, peace and blessings of Allah be upon him, drank it. 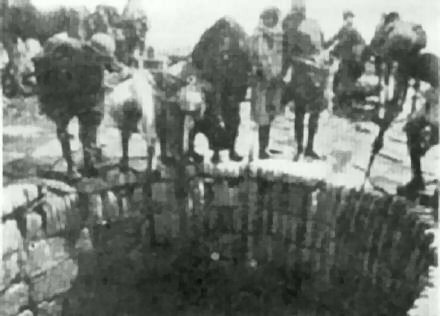 According to Arab historians, the Zamzam Well, except for a few periods when it became dry or was buried under sand, has been in use for around 4000 years. The well marks the site of a spring that, miraculously, had issued forth from a barren and desolate wadi (non perennial stream) where the Abraham, under Allah's command, had left his wife Hagar and their infant son Ishmael. Prophet Abraham settled his family there as part of God's mission for him. Many traditions believe that the Zamzam well was to provide Hagar and Ishmael with water in the hot, dry valley they were in. In her desperate search for water, Hagar ran seven times back and forth in the scorching heat between the two hills of Safa and Marwa to provide for her baby who was dying of thirst. She was searching for it while watching at her son and would run whenever she could not see Ishmael. According to Islamic religion, God then sent the Angel Gabriel, who scraped the ground, causing the spring to appear. On finding the spring, and fearing that it might run out of water, Hagar enclosed it in sand and stones. The name Zamzam originates from the phrase "zomë-zomë", meaning "stop flowing", a command repeated by Hagar during her attempt to contain the spring water. The area around the spring, which was later converted to a well, became a resting place for caravans, and eventually grew into the trading city of Mecca, birthplace of the Prophet Muhammad. 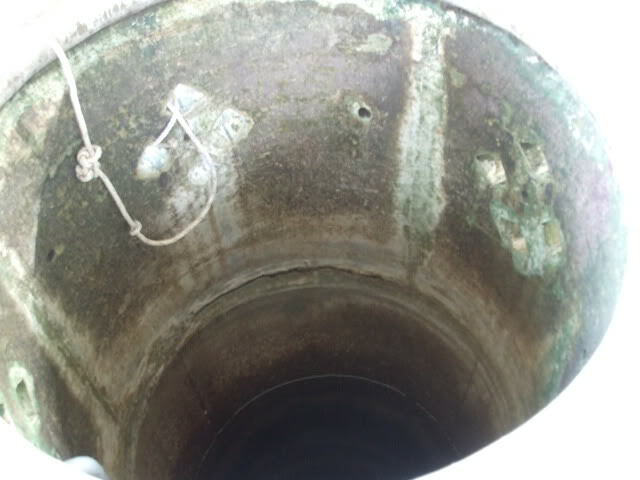 The well of Zamzam retained its importance in later generations. The grandfather of the Prophet Muhammad, Abdul Muttalib, was honored with the responsibility of taking care of the well and the pilgrims to Mecca. Actually, the word ZAMZAM derives from Zamzamiyah which in Hebrew means 'murmuring' and refers to the sound water makes in a stone lined well as it bubbles up to the surface. This gave rise to the practice of Hydromancy one of the earliest forms of oracles and divination. The original site of the Zamzam well, before it was moved, was in the centre of al-Hijr 'the stones' adjacent to the Kaabah and was surrounded by what's left of the Hatim wall meaning 'to Judge'. This area is also known as al-Hajar Ismail or more correctly Hajar AND Isma'il which refers to the two upright stones that once stood either side of the Zamzam well, one called Isaf & the other Na'ila. According to myth Isaf and Na'ila copulated in the precinct of the Kaabah and were punished by Allah and subsequently turned into stone. What do you think of that?